that builds power through grassroots organizing. that ensure social, racial, and economic justice for all New Yorkers". We were integral in getting the only female member of the Yonkers City Council elected. We endorse candidates for elected office who fight for change at the federal, state, and local levels. We actively support candidates through petitions, canvassing, phone banking, and Get Out The Voice activities. We build working relations with elected officials, while holding them accountable to their constituency. We conduct meetings in district offices, attend Lobby Days, testify for public hearings, and work with elected officials to move policies and programs. We train people in political processes and electoral skills. Works to ensure resources exist for critical programs across the state. We continue to lead the fight for additional funding to address the 10-year $17 billion capital deficit currently faced by NYCHA. 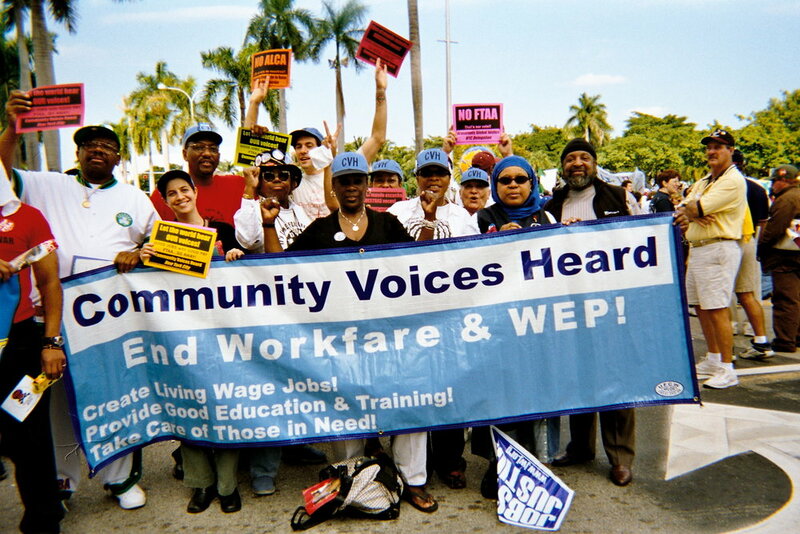 We advance legislations that promote racial and economic justice. We lead in New York State to end the use of unpaid workers. We unite with other coalitions to fight against social injustice. We fight to protect the environment, to get money and special interests out of politics and redistribute to the people, and more!